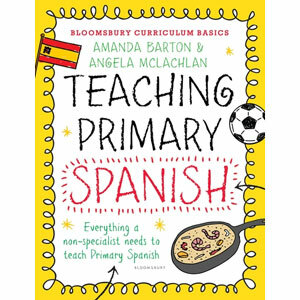 Teaching Primary Spanish will equip any primary teacher with an understanding of how they can best teach children to make good progress in Spanish. Aimed at teachers who are teaching, or about to start teaching Spanish at Key Stage 2 (7 - 11 year olds), it aims to boost confidence and enrich teachers' knowledge of the language and is especially suitable for those who are not language specialists. Each chapter contains three easy-to-follow 30 minute lesson plans that include all the Spanish you need to know to cover the entire topic area, as well as the Spanish that pupils will learn in each lesson. Teaching Primary Spanish includes the most popular topics, which range from broad areas such as numbers and weather, to looking in more detail at the country and culture of Spain and other Spanish-speaking countries. A list of resources for each lesson is included and activities are cross-referenced against the 2014 National Curriculum Programme of Study. 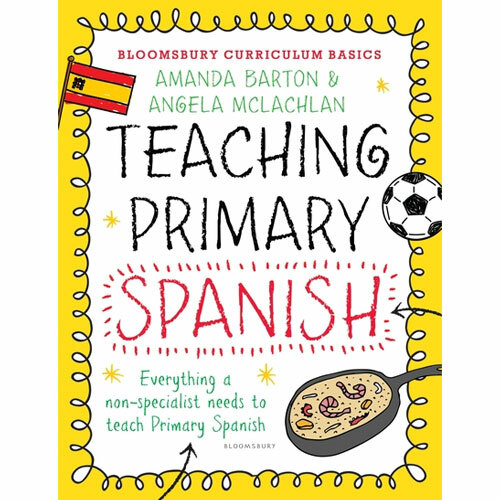 There are suggestions for further learning opportunities and cross-curricular activities, alongside ideas for integrating Spanish meaningfully into the primary school timetable. Teaching Primary Spanish provides you with all the information and ideas you need to deliver effective lessons that will inspire your class and extend their knowledge. It is aimed at those teaching Spanish at Key Stage 2 (7 - 11 year olds). While written primarily for non-specialists, experienced practitioners will also find the contents informative and useful. 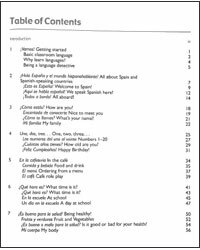 Click on the image below to download a sample page from Teaching Primary Spanish.